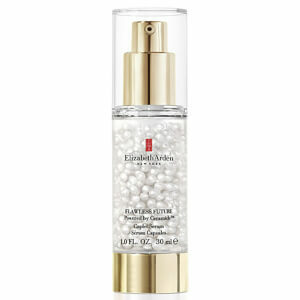 Transform your skin tone and texture with the Elizabeth Arden Ceramide Capsules Trio. Bringing together a day and night serum with a rich moisturiser, the gift set helps to hydrate, smooth and firm skin to reveal a youthful glow. Revitalise your skin and fight signs of ageing with a set of soothing capsules that help to reduce the appearance of fine lines and wrinkles using a potent ceramide complex. Firming and strengthening the skin's resistance to fine lines, the smoothing serum supports natural collagen and visibly lifts and re-texturises the look of sagging skin for a plump, youthful-looking complexion. 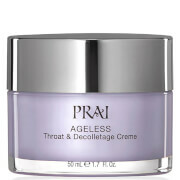 Expect brighter, firmer skin with a natural glow. 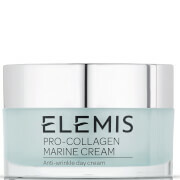 An encapsulated Retinol formula that targets signs of ageing to promote smoother, younger-looking skin. The lightweight, semi-translucent serum combines a cocktail of beneficial ingredients to help improve the appearance of fine lines, wrinkles, tone and texture. Retinol is a clinically proven 'wrinkle-smoother', while moisturising Ceramides and youth-reviving Peptides work in synergy to help hydrate and improve elasticity. A daily moisturiser with anti-ageing benefits, the fast-absorbing cream strengthens, hydrates and smoothens skin to reveal a youthful complexion all day every day. Utilising CPT technology (Cellular Plumping Technology) to target surface lines and deeper wrinkles for a visibly smoother, lifted and firmer complexion, whilst broad spectrum sunscreens protect from ageing effects of the sun. Day Serum: To open capsules, gently twist tab around twice and squeeze into fingertips. 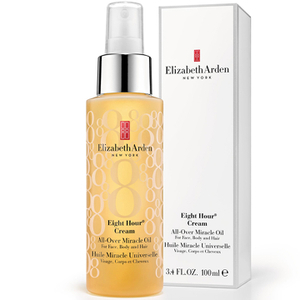 Smooth serum over cleansed face and neck each morning before your moisturiser. 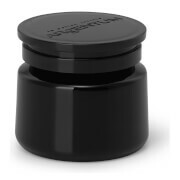 Night Serum: To open capsules, gently twist tab around twice and squeeze into fingertips. 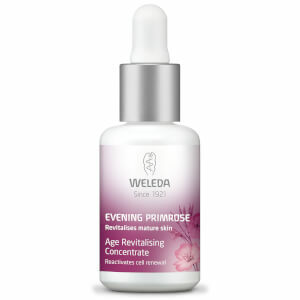 Smooth serum over face and neck each night before your moisturiser. Day Cream: Apply daily to cleansed skin after using your ceramide capsules. Day Serum: Isononyl Isononanoate, Isodecyl Neopentanoate, Isododecane, Isopropyl Myristate, Dimethicone, Camellia Japonica Seed Oil, Divinyldimethicone/Dimethicone Crosspolymer, Caprylic/Capric Triglyceride, Cyclopentasiloxane, Ceramide 1, Ceramide 3, Ceramide 6 Ii, Cholesterol, Cocos Nucifera (Coconut) Oil, Crithmum Maritimum Extract, Dimethiconol, Lecithin, Linoleic Acid, Linolenic Acid, Medicago Sativa (Alfalfa) Extract, Phytosphingosine, Retinyl Palmitate, Squalene, Tocopherol. Night Serum: Cyclopentasiloxane, Dimethicone Crosspolymer, C12-15 Alkyl Benzoate, Bht, C18-36 Acid Triglyceride, Camellia Senensis Leaf Extract, Ceramide Np, Ceamide Ns, Cyclohexasiloxane, Dimethiconol, Ethylhexyl Cocoate, Helianthus Annuus (Sunflower) Seed Oil, Laurylmethacrylate/Glycol Dimethacrylate Crosspolymer, Lecithin, Olea Europaea (Olive) Fruit Oil, Palmitoyl Tetrapeptide-7, Palmitoyl Tripeptide-1, Persea Gratissima (Avocado) Oil, Phytosphingosine, Phytosterols, Polysorbate 20, Propylene Glycol Dicaprylate/Dicaprate, Retinol, Sorbitan Laurate, Tetrahydrodiferuloylmethane,Phenoxyethanol.